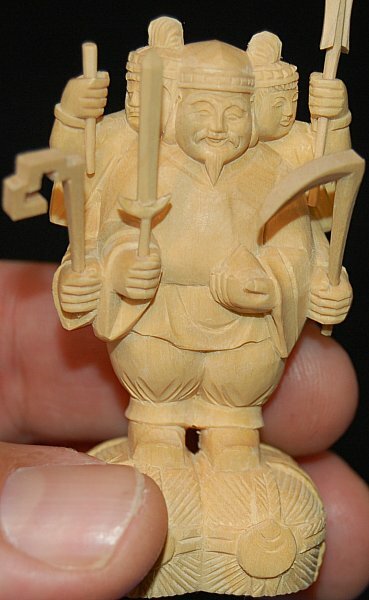 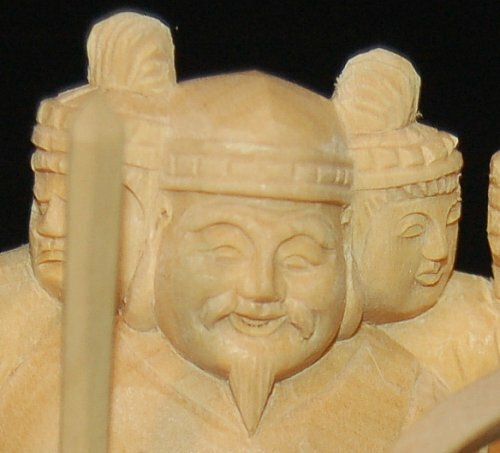 Daikoku, the God of Wealth, Farmers, Rice, & Agriculture, also appears in Japan as Sanmen (Three-Headed) Daikoku. 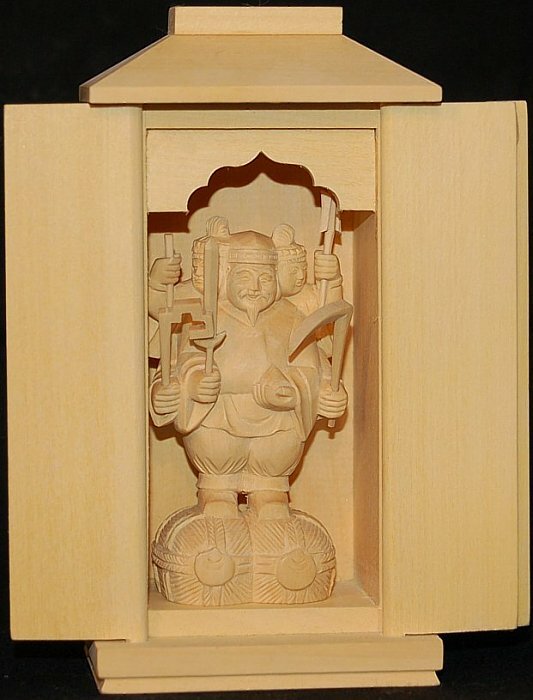 In this manifestation, he is believed to protect the Three Buddhist Treasures (the Buddha, the law, and the community of followers), and to be a patron of the kitchen. This iconography is very similar to another kitchen deity named Koujin-sama (see our sister site, outside link).